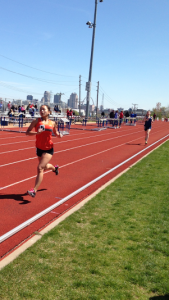 The 2016 St. Louis University (SLU) Billiken Invite and Millikin Big Blue Invitational had their ups and downs from Friday night into Saturday for the Greenville College Track and Field team. The good news is, there mostly ups. There was a lot of success for GC athletes at the meets. Several members had personal records in their events, and numerous field and distance runners were able to qualify for the Outdoor Christian Nationals that take place in Shorter, Ga next month. It was a great sign to have runners, jumpers and throwers already qualifying for Christian Nationals this early in the season. On Friday night, the men had some great runs by a couple of old high school teammates. Jaylen Shelton and Treyvon Manning have been teammates since Jaylen was a freshman in high school in Stockton, Calif., while Trey was a junior at the time. That was same scenario when Jaylen decided to come to Greenville College to be teammates with Manning again. Manning and Shelton both competed in the 800 meter race with Parker Wray, who was battling a bad hamstring. It came down to the wire as Shelton edged out Manning at the finish. Shelton ran a 2:01.22 while Manning ran a 2:01.77, with Wray not far behind with a time of 2:02.28. Another highlight of the night came from Jacob Burrell, who was able to qualify for Christian Nationals in the 10,000 meter race. Burrell was able to get a new personal record with a time of 33:39.4, which was good enough for fourth place and five points for the team. Brooke Goodyear had a great race in the 5,000 meter for the women. She just missed qualifying for Christian Nationals by ten seconds, with a time of 19:10.3 and a sixth place finish for three points for the team. On Saturday, the distance squad started the day of right, with members of the men’s team qualifying for Christian Nationals in the 1500 and 800 meter races. John Mangold and Nathan Potts both qualified in the 1500. Mangold won his heat with a time of 4:03.7, while Potts got fourth place with a time of 4:06.05. 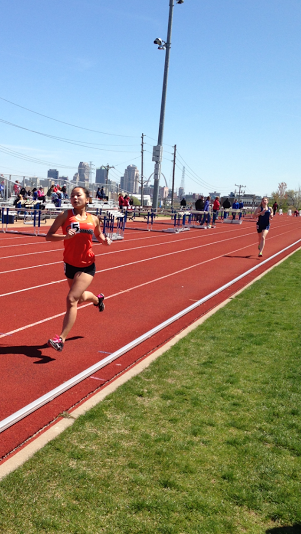 The 800 meter races were a blast to watch as well. Andrew Sharp and Nathan Allyn ran great and qualified for Nationals. Sharp sped two laps around the track in 1:54.5 and Allyn ran near behind with a time of 1:57.7. Mangold was able to qualify for Nationals as well in the 800 in 1:58.7 and Potts was close by with a time of 1:59.5. Chelsea Gilles, the mid-distance wiz, was back in action for the first time since an injury prevented her from competing in Indoor Nationals. 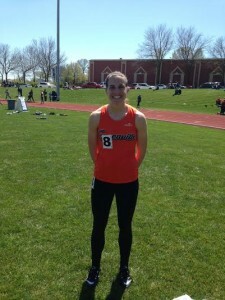 She was able to qualify in the 200 and 400 meter races. She ran well in both by winning her heat in the 200 and getting second place in the 400. The team also included some qualifiers from events outside of the track. Janisha Pealer advanced in the long jump and Phil Wilsman in the javelin at Millikin. 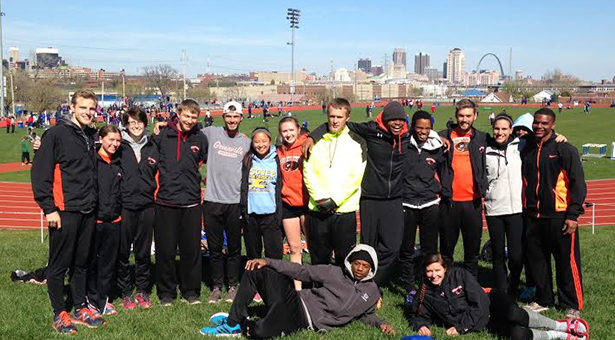 Overall, the men’s team got sixth at SLU while the women’s team was able to place seventh at the meet. Hopefully, the number of qualifiers for Christian Nationals will continue to grow for the Greenville Track and Field Team in the upcoming meets. The team will prepare for their first home meet next weekend. Be ready to come out to the track on April 16 to support the athletes! Check out the podcast to hear more about the meet from a couple of the GC runners.